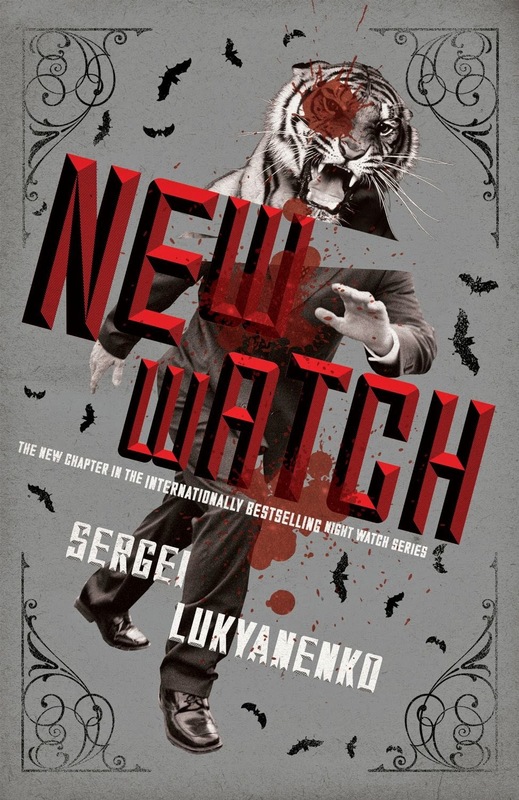 I’ve loved Lukyanenko’s Watch series ever since I walked past a movie poster for the Night Watch film in 2004 and just had to stare for a couple of minutes, in awe. This was neat. There was a terribly long wait before the book upon which the movie was based was released in the U.S., but when it came out, it was worth it. The sequel, Day Watch, was almost as good. Twilight Watch and Last Watch followed. They weren’t as good as the first two, but worth reading. Unfortunately, the downward trend has continued with New Watch. It is far from a bad book. It’s definitely worth your time, but only if you really liked the earlier volumes in the series. The main problem was that I felt New Watch was written just to continue the series, not tell a compelling story. Filtered through the lens of the supernatural, there are the usual fascinating descriptions of contemporary Russian culture and meditations on its past: things we’ve come to expect from the Watch series. Discussions on the ethics of power and the place Others should or shouldn’t have in human society? They’re there, too. But by now, the author’s gone to the well a little too often on the philosophical issues, and the water’s getting muddy. Some characters return, like Olga, Semyon, and Gesar, but they lack the bite they had from the previous novels. They’re mostly window dressing. A new character, a human policeman (polizei) is introduced, but Lukyanenko doesn’t do a lot with him. Throughout, the only two characters of real importance are Anton the protagonist and Arina the sometimes antagonist. There is a third character, the Tiger, but I can’t describe him/her without giving anything important away, so I won’t. Concepts like the nature of the Twilight and the purpose of Prophets are discussed, but the explanations behind them seem too forced, too superficial. They needed fleshing out. Anton has to go overseas in order to learn basic, fundamental things that the Russian Others should have known all along. An infidelity subplot is hinted at, but goes nowhere and leaves one wondering why it was introduced. There are flashes of brilliance here and there, like Anton’s precognitive flash and some neat magic tricks, but they’re overwhelmed by an underwhelming ending that hinges on two unfortunate elements: a plot device brought in on the last couple of pages, and a handshake agreement that makes little sense. Did you like the other books in the series? Then buy this one. Just don’t get your hopes up.